AST Advanced Suspension Technology has continuously evolved since its establishment in 2000. Our company stands for service and support, high quality products, innovation and we are dedicated to exceed our customers expectations. AST develops, manufactures and sells shock absorbers and related products. We produce the AST and Moton label. Specialized in the production of shock absorbers for vehicles serving normal street use and competition purposes as race, rally, autocross, quads, karts etc. We achieve a high quality product by controlling the whole production process. AST HQ ensures continuity and European quality guaranteed. Besides that AST develops suspension for industrial use, according to customer specifications. AST unfolds in the industrial field as all facets for custom production are present, this results in a competitive price / quality ratio. 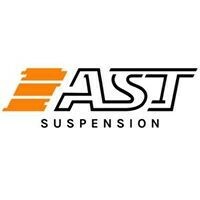 Here at AST Suspension we take pride in our work, and are continuously working to improve our products, a combination of technical knowhow, experience, testing on tracks, road and specific terrain, is brought together from all corners of the globe to produce an exceptional product at the correct price. AST is founded by Peter Smits and Piet Kreeft. Together leading to the creation of AST Suspension products. In June 2016 AST Suspension became part of the Roosen Industries group (www.roosenindustries.com). Ready for the next level. Moton has become a Worldwide provider of high performance shock absorbers used by many prominent manufacturers and racing teams worldwide. With our dedicated team of specialists we can make the handling of your car live up to all your expectations. We are specialized in custom-made damper solutions, our applications are mainly used in GT- and Touring cars as well as in High Performance street cars. We provide user-friendly and efficient technology. Flexibility and hi-tech solutions are the real added values of our brand Moton Suspension Technology. By June of 2000, 30% of the starting field at the famous 24 hours race of Le Mans was equipped with Moton dampers and since that time many Championships were won on Moton dampers like the FIA GT and FIA Sportcar Championship, FIA ETCC and FIA WTCC Championship, Grand-Am and World Challenge Championship, 24 Hours of Spa, 24 Hours of Le Mans, 12 hours of Sebring and 10 hours of the Petit Le Mans, and not to mention numerous national GT, Touring and Club Racing events all over the world. In 2012 is Moton ready for the next generation Sport and Motorsport damper with less friction and new design philosohy. With the development of new seals and new coatings Moton is ready for the future. All Moton suspension is produced by AST Suspension in the Netherlands.